Posted on November 7, 2017 at 4:58 pm. 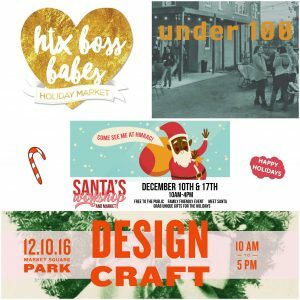 Shop Houston holiday markets for well made goods, unique gifts, vintage pieces, jewelry, accessories, and more. 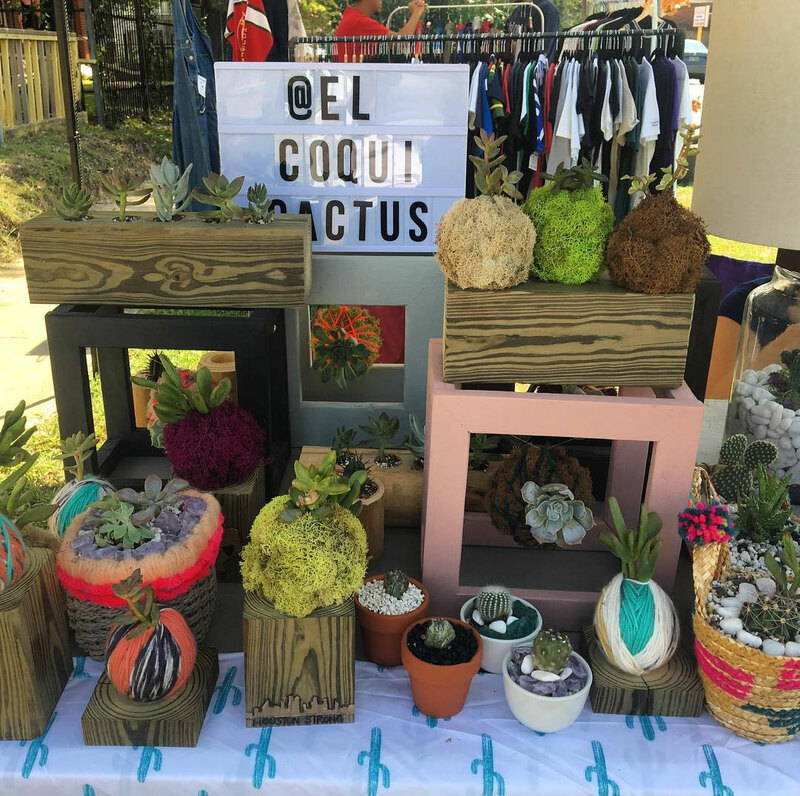 The ultimate list of holiday markets in Houston’s inner-loop, because we know you love more than cool affordable glasses. 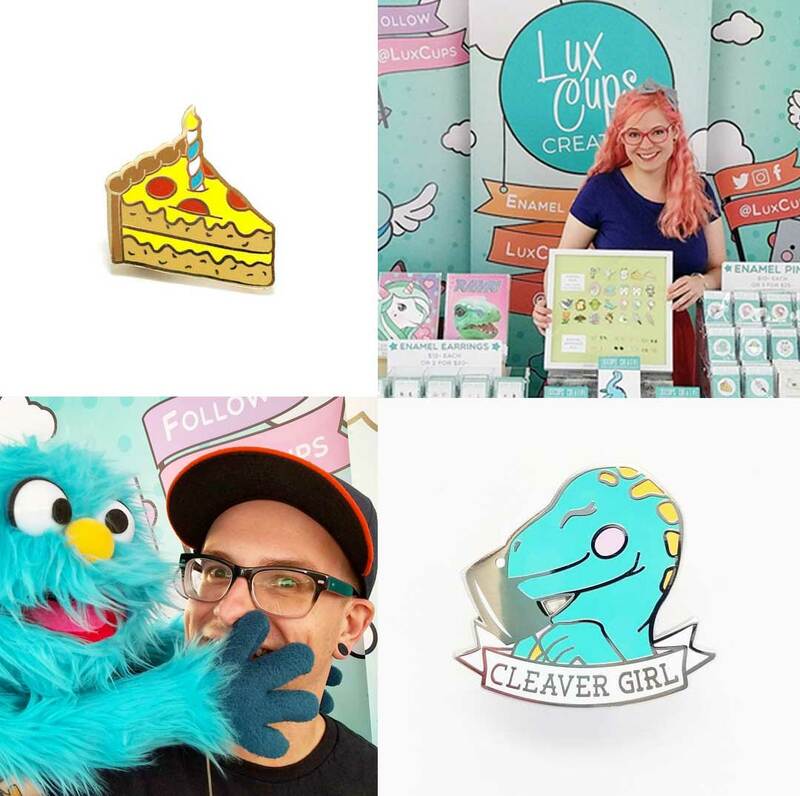 Not only are these events full of local artist, makers, collectors, and creatives, but each one is hosted by a Houston small business or historic/cultural organization. to local beespectacled beekeeper and owner at Bee2Bee Honey, Nicole, for helping us compile this list. 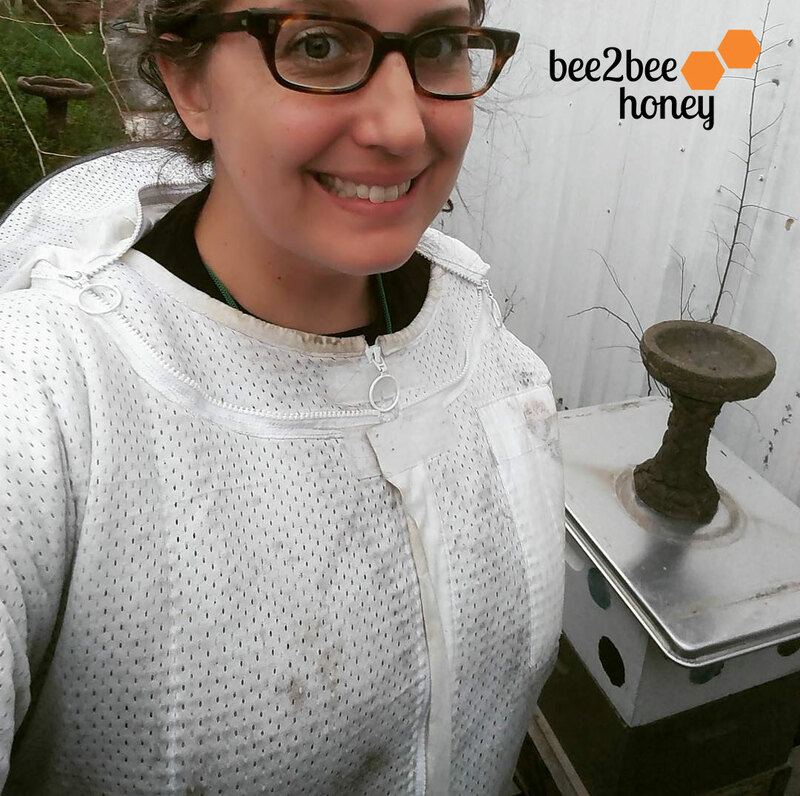 Her local raw honey is available at the Houston Dairymaids and online (w/ free Montrose pickup). 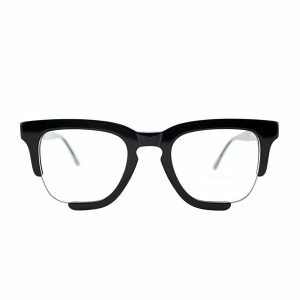 What are your favorite local Houston shops? Yes! Yes! Send me periodic messages. Posted on January 15, 2017 at 3:48 pm. 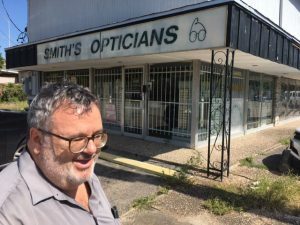 Here’s the official word on the location and fate of Houston’s biggest selection of glasses, Smith’s Opticians, or as we sometimes call it, Philip Brown’s Optical Emporium. If you popped in for a visit or drove by the shop in 2016 you may have noticed the giant FOR SALE sign on the building. 2016 was quite the roller coaster ride for us… Good thing we are a ‘glass half full’ kind of team! Wait! WHAT is Going on? The short answer, a lot – including expanding our selection and launching this very website. Continue to get the general details and read the official story or skip to the outcome. One day, in 2015, a large board that read “FOR SALE” curiously appeared on the pole of the old neon sign at the corner of Austin and Wheeler. Talk about an unnerving surprise! In Houston’s real estate market anything is possible and many of you didn’t realize this was a rental property. Moreover, Smith’s has been in Houston’s Third Ward for over 40 years and had never imagined calling another place home! For awhile it was unclear if the building was actually for sale. 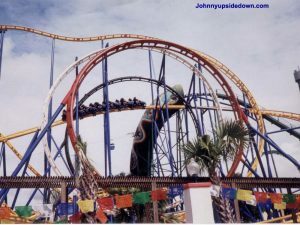 The uncertainty continued for quite some time, literally over the course of several months and into the summer of 2016. In that time Philip worked diligently to explore the options. While we hoped to purchase the property there were a lot of barriers to realizing that dream and it seemed like just as many to moving. Philip’s dedication brought an answer in July 2016. 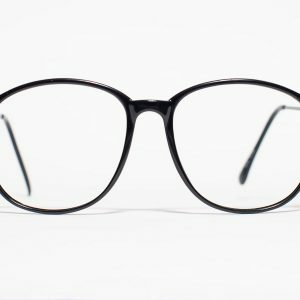 We can now say, with relief, that the location we have all come to know and love will remain the home of Smith’s Opticians for the foreseeable future! It has been years since the building got a fresh coat of paint. 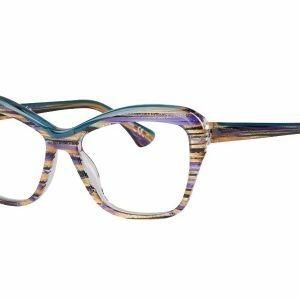 Expanded floor space & selection – even more glasses! Stay tuned for updates on our store hours and details about any other changes – like when we kick off renovations. We won’t can’t change too much, promise. Last but certainly not least! We wouldn’t be where we are without YOU! Seriously, we appreciate it! tell everyone you know, shout it from the hills – well, we don’t have hills but – from the dives and patio bars to the Petroleum Club. Read more about the launch of our LONG rumored website with online shopping. Posted on December 1, 2016 at 1:55 pm. Visit these inner-loop events for all of your holiday gifting needs. Not only are they full of local artist and makers but every event is hosted by a Houston small business or historic/cultural organization. We’ll update when we hear of more. please email us a link if we missed one! OR skip to a full map of all events. PRO TIP: check traffic! I-45 and the downtown interchanges have had more frequent closures and construction this year. 935 Harvard St, Houston TX 77008 [map] It’s also Lights in the Heights night. Ornament decorating for kids of all ages. Featuring Amaya Roasting Company’s locally roasted coffee, Weights and Measures’ fresh-baked bread, local honey from Bee2Bee, and Houston Dairymaids with cheeses & advice for pairings. 2101 Winter Street, Houston TX 77007 [map] PRO TIP: check traffic! I-45 and the downtown interchanges have had more frequent closures and construction this year. 2800 Navigation Blvd, Houston, Texas 77003 [map] Ornament decorating for kids of all ages. 3000 Caroline St, Houston, Texas 77004 [map] Featuring Amaya Roasting Company’s locally roasted coffee, Weights and Measures’ fresh-baked bread, local honey from Bee2Bee, and Houston Dairymaids with cheeses & advice for pairings.